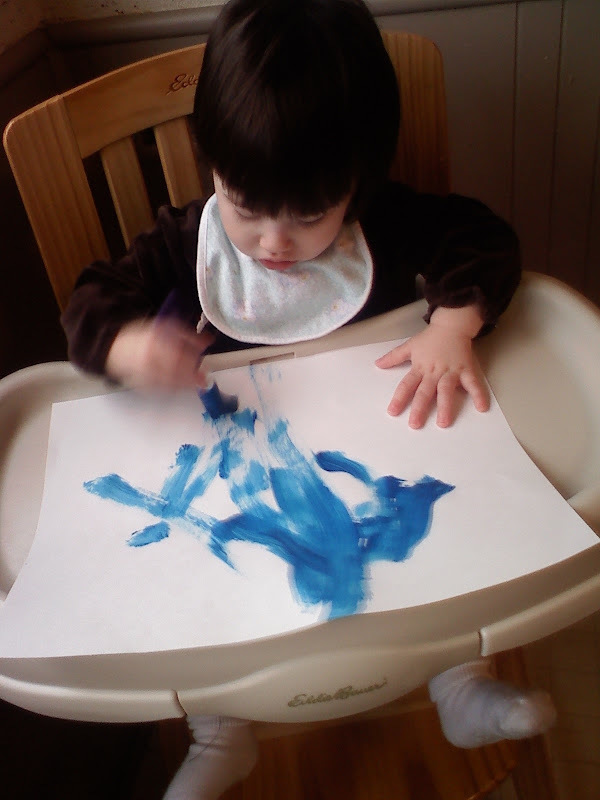 ← More Christmas Fun at Daycare! We’re enjoying winter at the baby home. 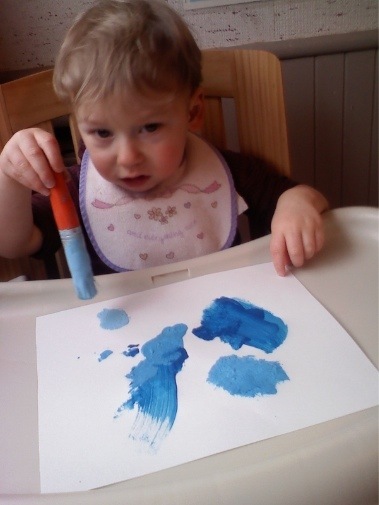 As part of our winter theme the children painted with different shades of blue. They had a great time trying out the paint brushes and seeing the color spread across the paper. 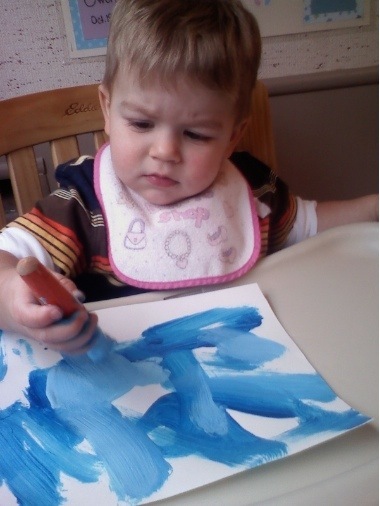 This entry was posted in Art, Paint, Toddlers. Bookmark the permalink.